Having a quality basic education is the fundamental right of a citizen. The base of elementary education is the foundation of one’s personality upon which the entire persona gets erected. The quality of the education largely depends upon the individual who is conducting the course. It is only a trained individual who can conduct the training program of this category. The requirement of an Elementary education course has been realized by most of the educational institutions of the contemporary time. The training program of this kind offer profuse support for the teachers and enhance their ability to conduct effective training. Elementary education can get considered as pre-school education. This is the education which can help a student to become eligible for the school level education. The comprehensibility is the prerequisite for any training program. The whole enterprise of education cannot gain success if the student cannot understand the teaching. The responsibility of the pre-school education is to make the student competent to receive the class training effectively so that they can use their acquired ability in their regular life. 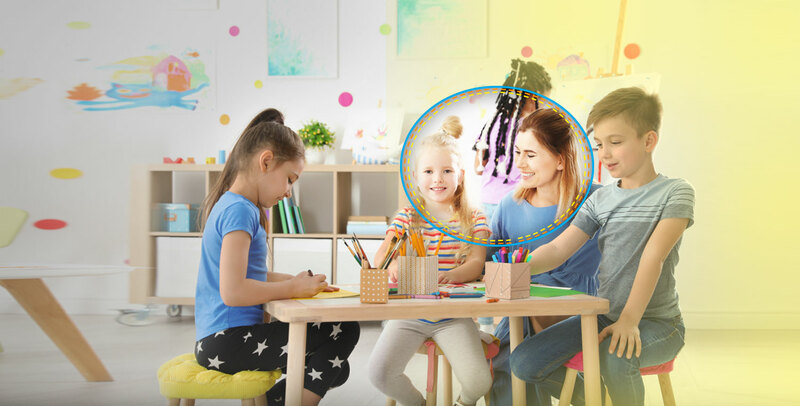 Many preschools are looking for a specialized qualification such as a Diploma in elementary education to recruit their teaching staff as the conductor of the preschool level training. The age span of the elementary study is infant phase to five years. This is the period of introduction to a child’s life. In this phase, the elementary education helps a child to understand her immediate atmosphere. It can be treated as the phase of relationship building. In this phase, the children’s minds start to make themselves aware regarding the abstract phenomenon such as numbers. Children cannot comprehend numerical figures until they can’t see the concrete representation of those abstract phenomena. A comprehensive Elementary education course can make her understand the complex entities such as numbers and words. 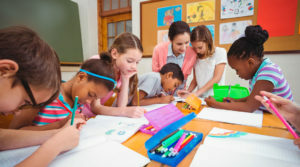 The teacher of the elementary teaching program must harbor the knowledge of child psychology that helps her to offer effective training to their little students. This is why studying child psychology is one of the important parts of the elementary teachers training program. Communication is the fundamental basis of any type of training. In the training session, the trainer makes the attempt to develop a connection with the students. If the students are complying with the teachers, it indicates that they have understood the subject matter clearly. In order to do so, it is important for the teacher to understand the mentality and the psychological trait of the students. Professional training on elementary education can offer the competence to the teachers of pre-schools. This training program is suitable for working teachers. After having this training the working teachers can apply their knowledge to the real-life situation which is why the distance mode or the online mode of learning is suitable for students. In this mode of learning students can learn in the conducive atmosphere according to their suitability. The connectivity is one of the major significance in this regard. Customized learning is another significance in this mode. A student can learn according to his choice of learning. How to judge the effectiveness of elementary education? Different types of assignments can be given to the students of the preschool category. The assignment of this type is different than the upper class but out of this, the teacher can judge the development of her students. Some of the teacher use concept map to judge the development of the students. A concept map is a method to determine the relationship between the subjects. The teacher of preschool level uses this tool to judge the development of her students. In conclusion, it can be said that the Diploma in elementary education is a formal training program for the preschool teacher. The training of this kind can uplift the quality of the pre-school training which can offer quality support to the human developmental process.